Simple forms fascinate over and over again! 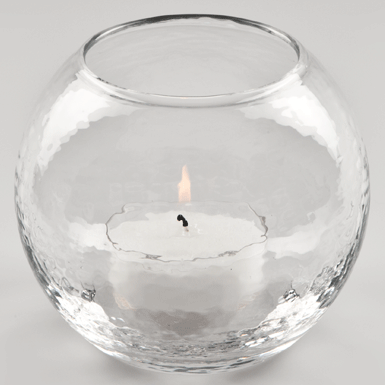 Tea light holder for the table with the typical Glasi glass structure. Blown by mouth into the mould. Rim flame-cut.